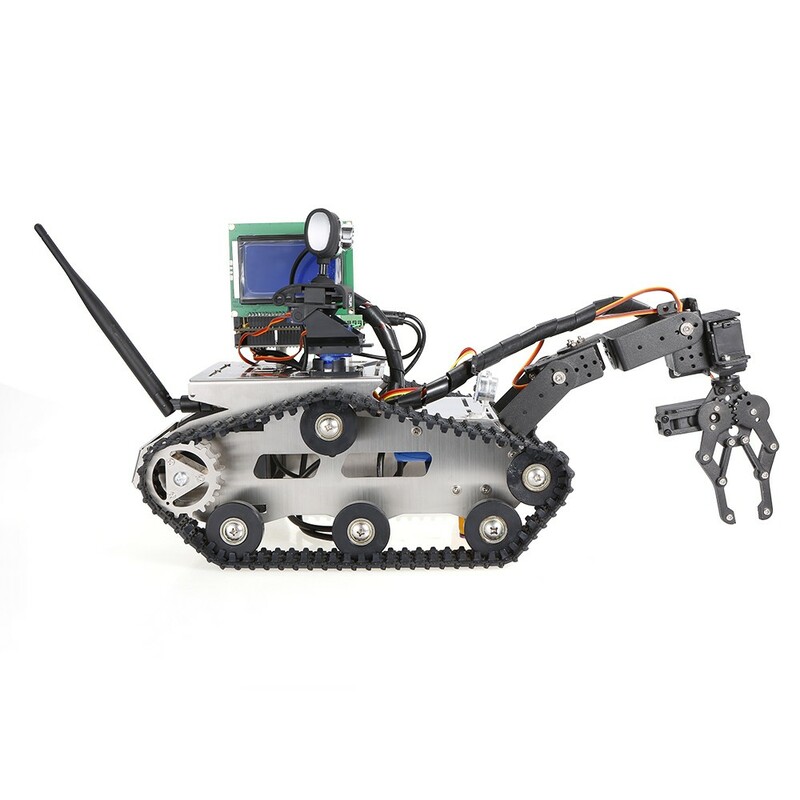 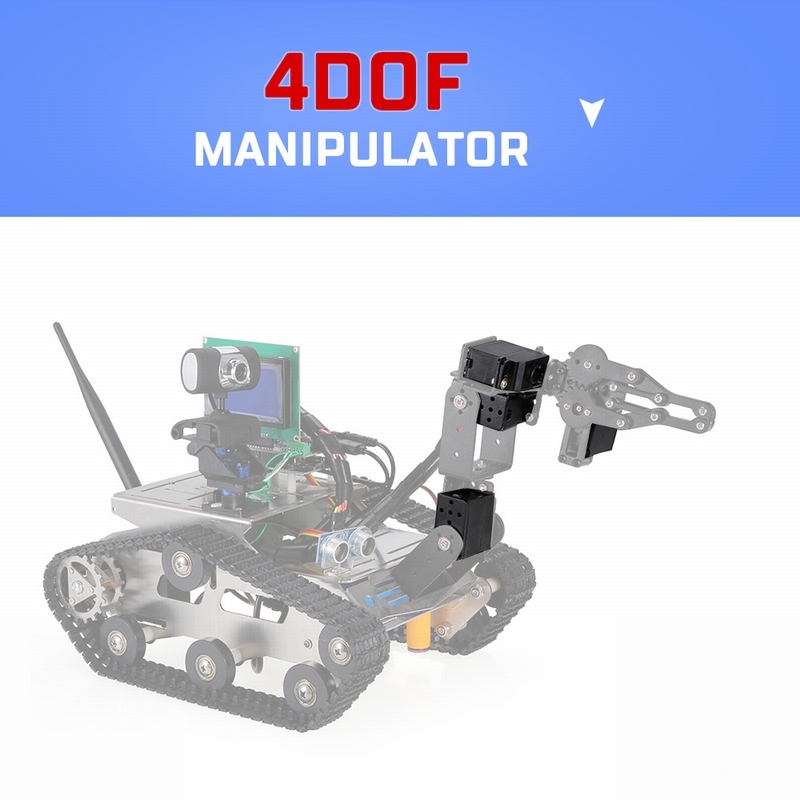 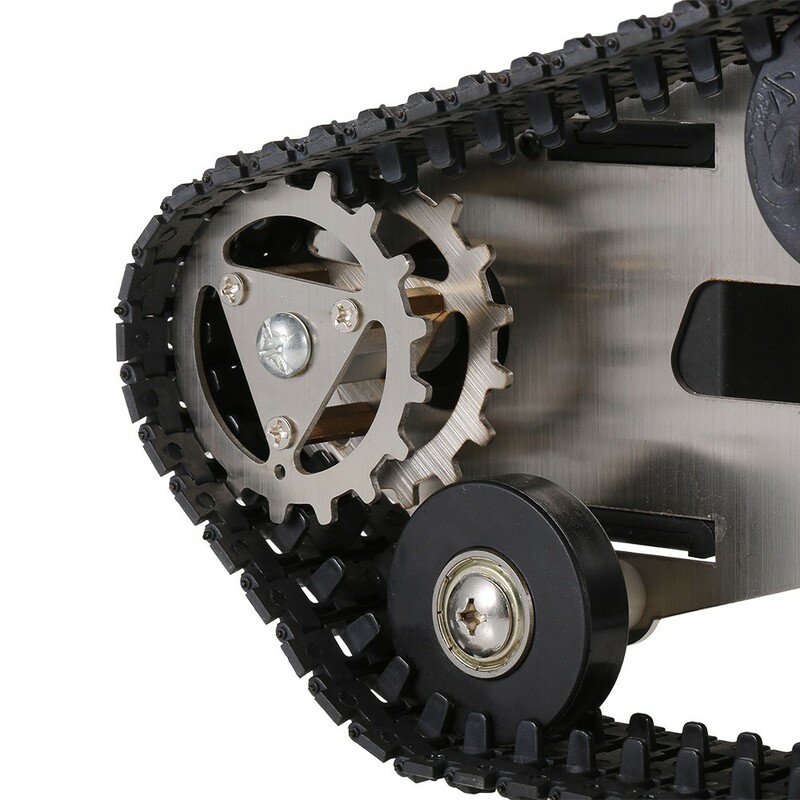 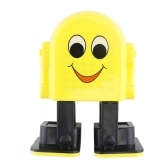 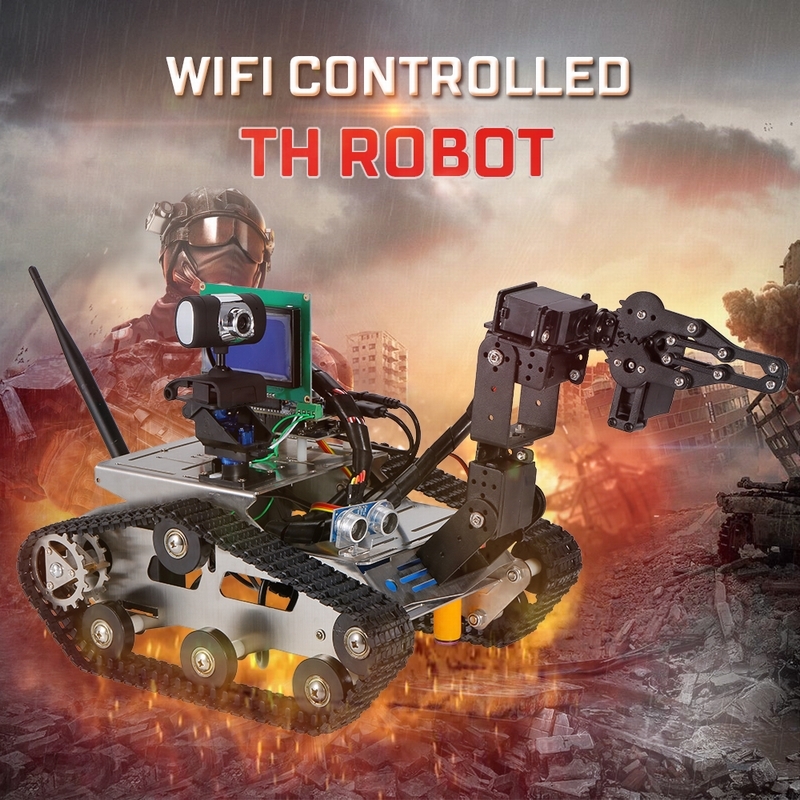 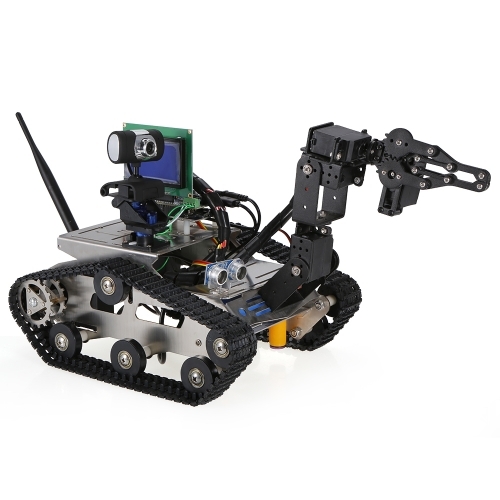 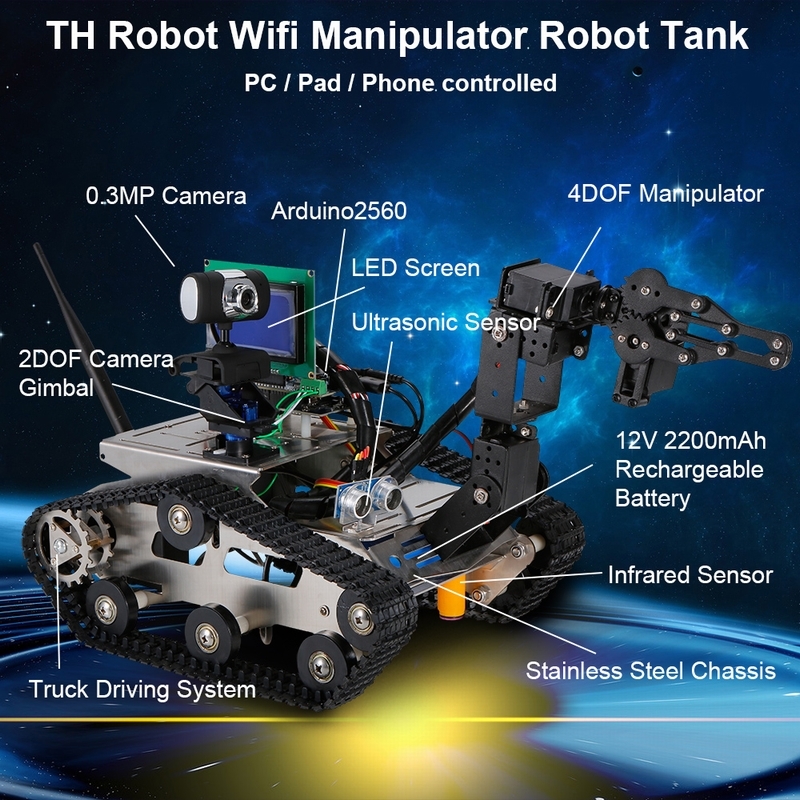 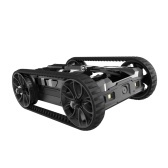 TH Robot wifi smart robot tank has adopted stainless steel crawler chassis, and one manipulator (much more fun), as well as equipped with 480P camera, it supports wifi real-time video transmission, that you can use Windows/Android/IOS device to control the car. 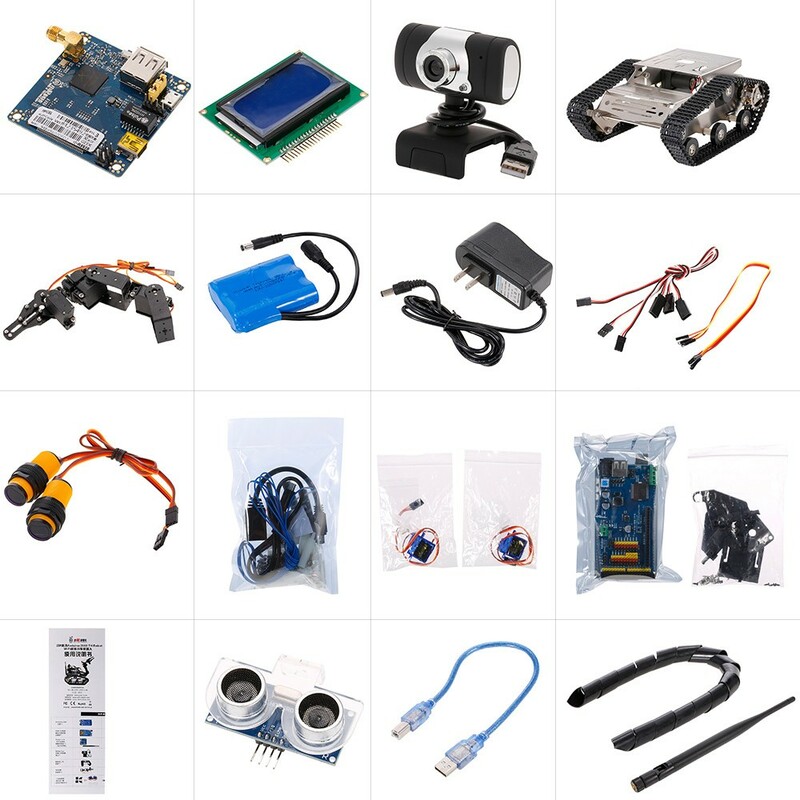 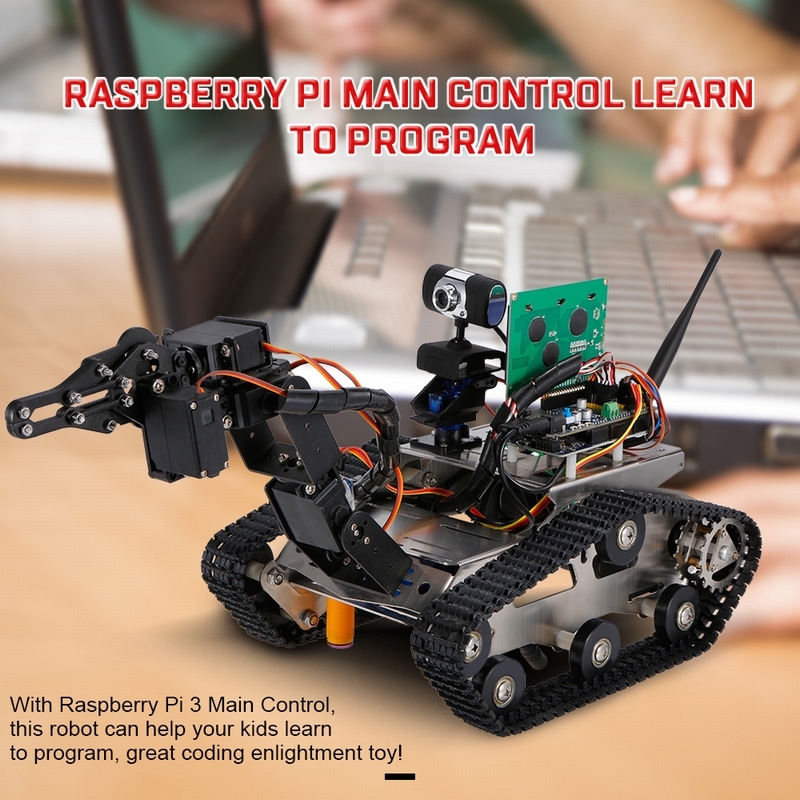 With Arduino 2560 main control, it's a perfect educational tool. 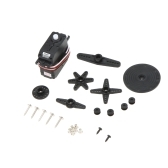 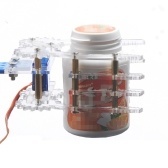 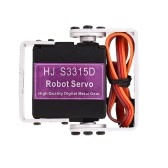 This top of the line version includes extra ultrasonic sensor. 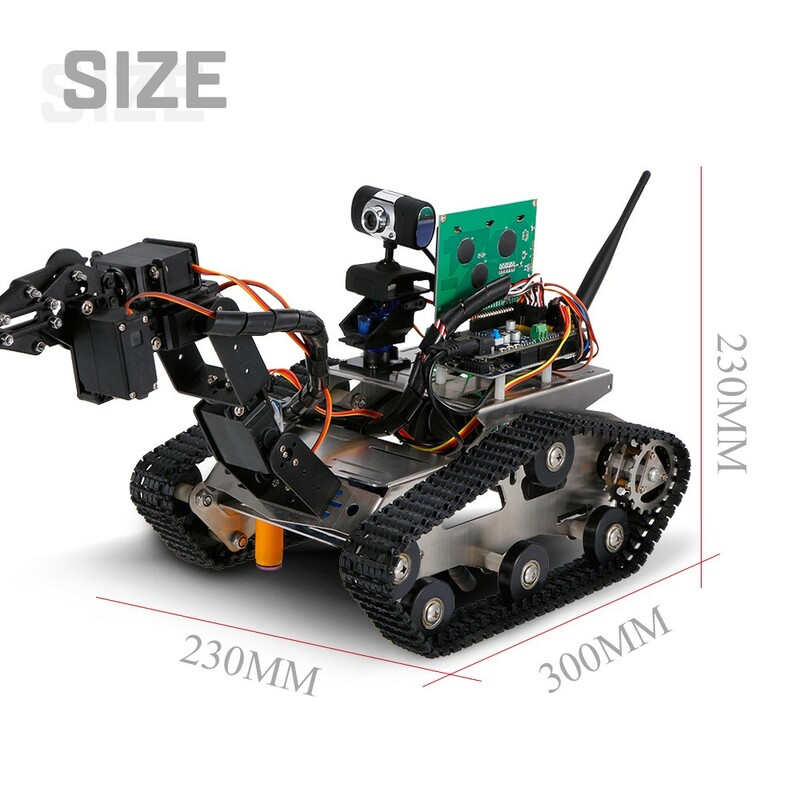 infrared sensor and a LED screen, it can perform patrol line, automatic follow, ultrasonic obstacle avoidance functions. 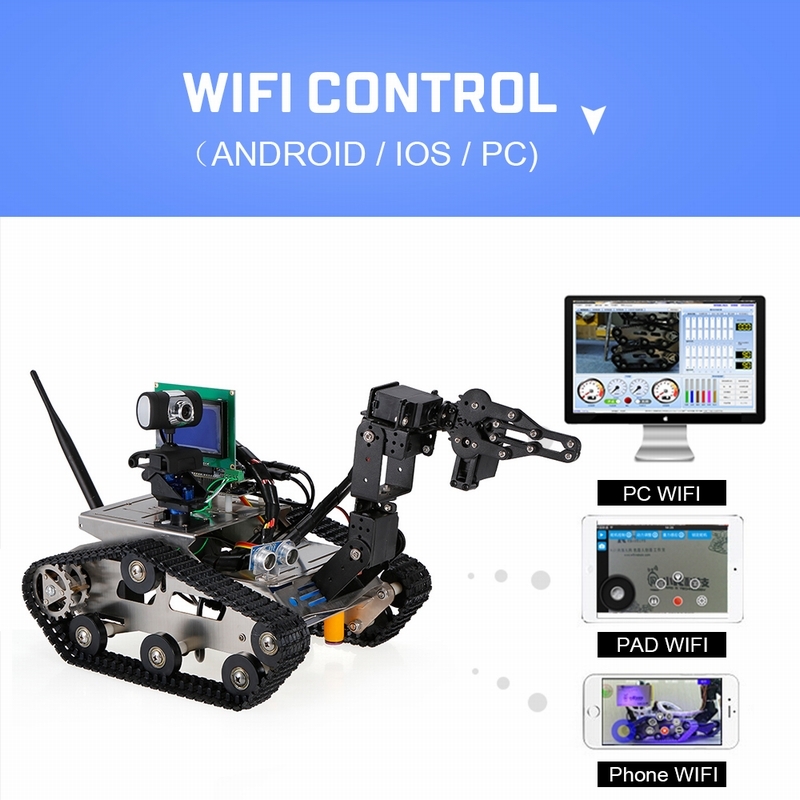 Note: The PC, Pad and Phone are not included! 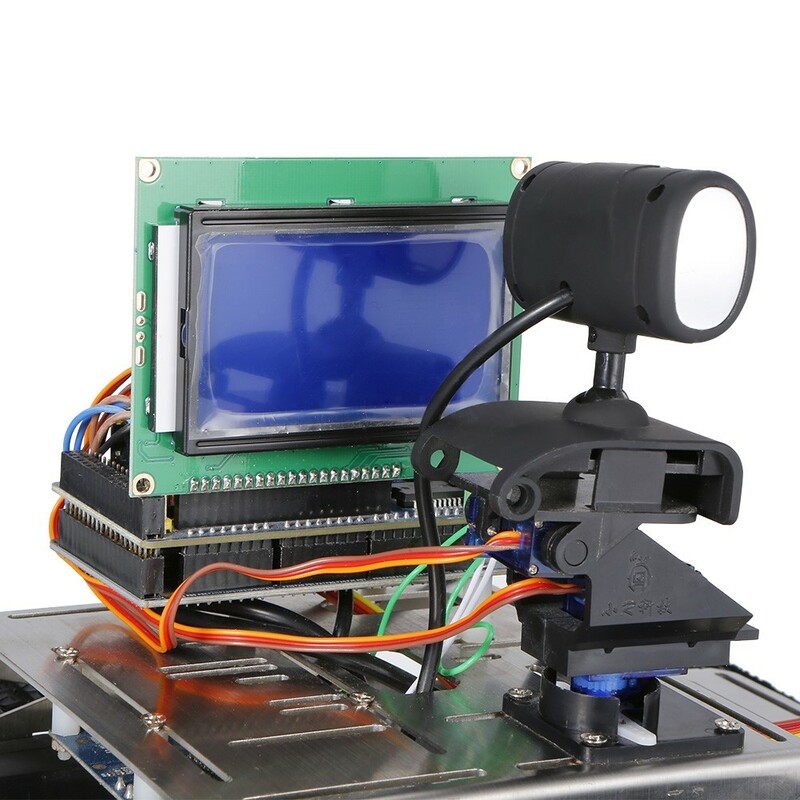 With ultrasonic sensor. 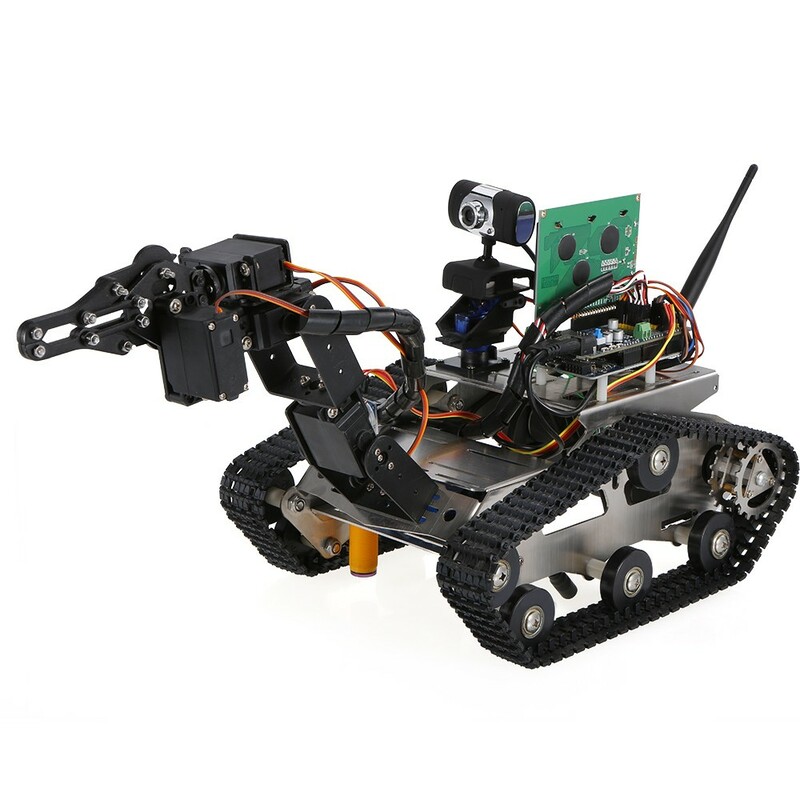 infrared sensor, it can perform patrol line, automatic follow, ultrasonic obstacle avoidance functions. 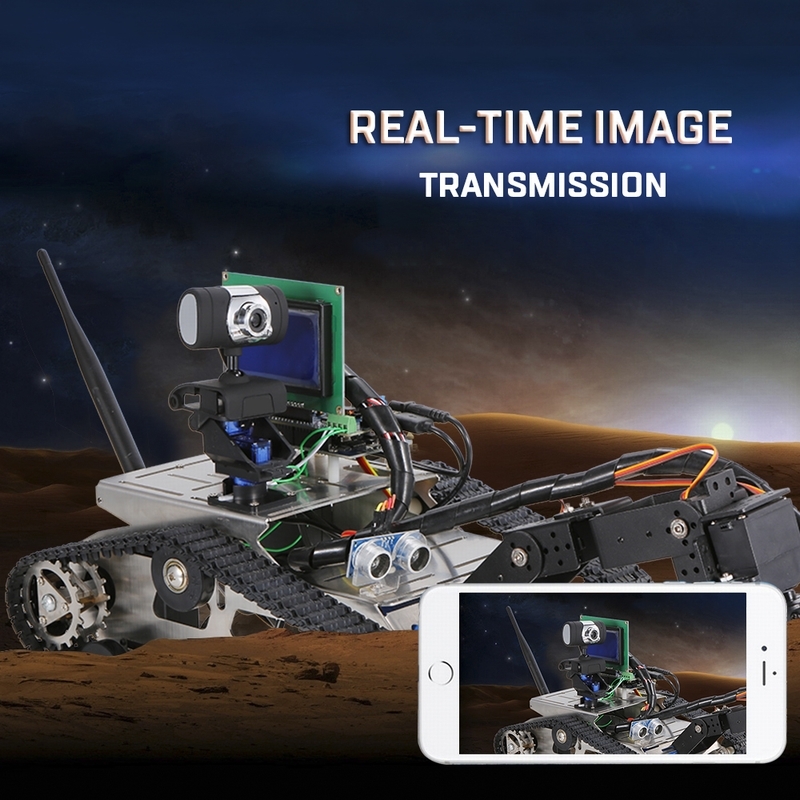 Large size LED screen to show running mode and other data. The main board is not original Arduino, but compatible with Arduino program. 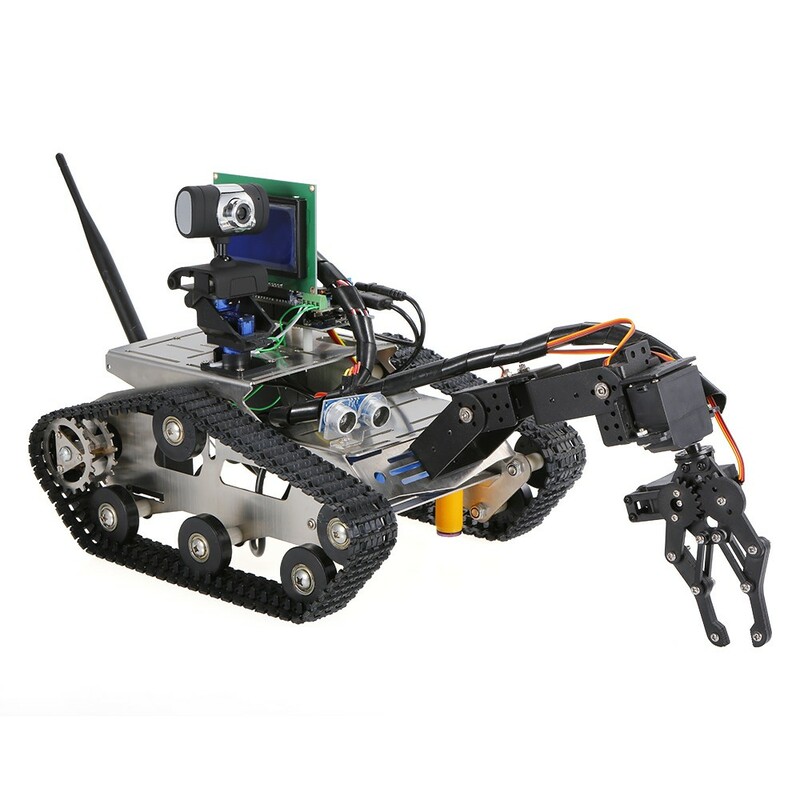 The robot comes unassembled, you need to assemble by yourself.